The decision to launch a cargo flight to the International Space Station next week has been pushed back until Monday (Dec. 16) because of a cooling problem on station that forced the shutdown of redundant systems, according to a NASA update. Orbital Sciences’ Cygnus commercial spacecraft is expected to blast off on Dec. 18 from the Wallops Flight Facility in Virginia. However, with some station systems offline, the launch does not now meet certain “commit criteria” to make its journey to space next week, said Kenny Todd, the space station’s mission integration and operations manager. While a spacewalk is a possibility to fix the problem, it’s too early to say what NASA and other space station partners will decide to do. NASA controllers spent the night examining a control valve blamed for causing an ammonia pump to shut down yesterday (Dec. 12). The space station uses liquid ammonia to maintain its temperature, pumping the ammonia through external radiators to bleed off heat. Astronauts have made periodic spacewalks to repair parts of the ammonia system, most recently in May when Expedition 35 replaced a pump controller box on the P6 (far port) truss just days before some crew members went home. “The pump module on one of ISS two external cooling loops automatically shut down today when it got too cold,” stated the NASA Johnson Space Center Twitter feed yesterday (Dec. 11). 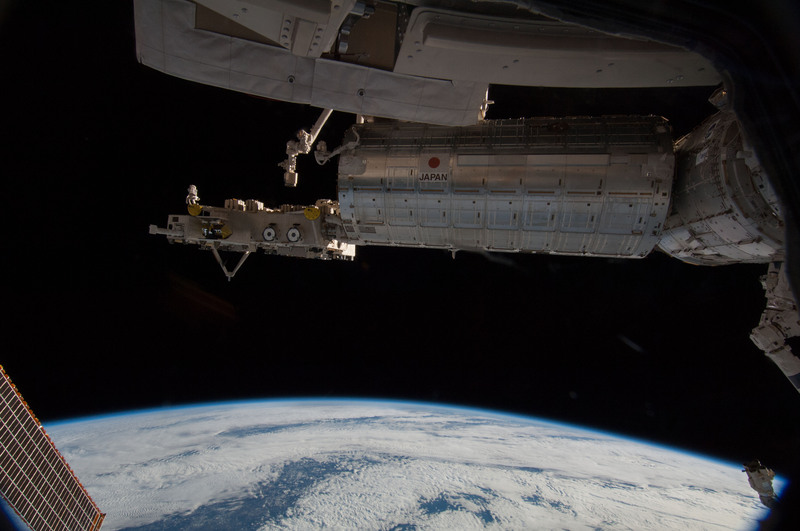 Non-critical systems were powered down in the Harmony node, Columbus Laboratory and Japanese Kibo laboratory. After confirming that the new configuration was stable, controllers began this morning (EST) to move the troublesome valve to several positions and monitor the effect on cooling temperatures, according to a NASA TV update. Responding to questions on social media, NASA astronaut Douglas Wheelock — who led three unplanned spacewalks in 2010 to replace a broken ammonia pump module on the S1 truss in the same cooling loop — said he is working with Mission Control to see what needs to be done next. Astronauts have been troubleshooting the suit periodically on board station, but NASA is planning to send it back on the next SpaceX Dragon flight to Earth for further investigation. SpaceX isn’t planning to get to the station again until late February, media reports say. Russian spacewalks can still continue as they use a separate suit; the most recent one took place in November with the Olympic torch. While Todd didn’t quite say the ban on spacewalks has been lifted, he added that NASA has new procedures in place to guard against another crew member facing the same water issue. He did not elaborate on what those procedures are. The current launch window for Cygnus extends as far as Dec. 21 and “possibly” the 22nd, Todd said, but emphasized more time is needed to come to a decision. “At this point, for lack of a better term, we’re going to kick the can a little bit and let the team work a little bit more,” he said. Updates will follow as the situation and fix progresses. “… on the next SpaceX Dragon Flight.” That sounded casual and routine. Your lede reads “…has been pushed back until Monday (Dec. 16)…” It’s already been postponed until Wednesday the 18th. Has there been an announcement it may be pushed back beyond that? The *decision* to launch won’t be made until the 16th, which is when the MMT for the ISS meets. No further announcement has been made as of now. Oops, my mistake. You are correct! Is there a ‘spare’ ammonia coolant pump valve on board the ISS? Is the valve something that can be replaced without removing the entire cooling unit? There are spare pumps aboard the station, yes, but NASA hasn’t given that much detail about a repair yet — if one is to take place. As a general rule they would look to make the fix as simple as possible while also protecting against further failures. Previous PostPrevious Is Everything in the Universe Expanding?